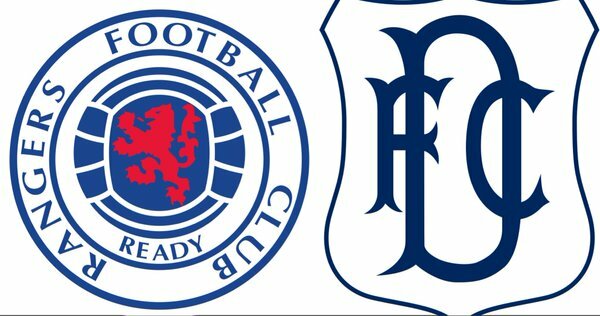 Ibrox Noise: What would victory against Dundee mean? What would victory against Dundee mean? With only 15 points needed for guaranteed promotion to the Premiership, Rangers are getting into the business end of comparing what is needed to compete at that level. Results against that quality of opponent under Mark Warburton have been patchy, with a loss, a draw and a win his mixed record, but tomorrow Rangers face easily their biggest and hardest match of the season by some distance when they face a visiting Dundee. The Dee reside in a very comfortable fifth place in Scotland’s top flight, and themselves got an invaluable draw at Parkhead this week, showing what Rangers arguably face tomorrow. They easily dispatched St Johnstone early last month as well and their last defeat in any competition was at Pittodrie in late January. If Rangers truly want a genuine test against a side the likes of which they will have to beat to manage a credible campaign in Scotland’s top flight, tomorrow is that test. Yes, many would argue it is a cup match and the rules are different – but it is not inaccurate to say fans celebrate a win over SPL opponents (in any context) as if it meant something – so it would not be entirely valid to dismiss a loss either. 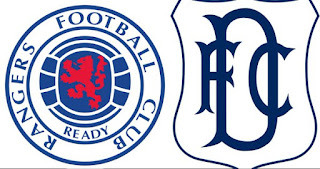 The truth is Dundee will be tough customers – Rangers, thankfully, go into this match having had a decent match v Raith – it was not vintage Rangers under Warburton, but it was the best the team had played since that trip to Cappielow. And this was a good time to produce a borderline impressive display. Harry Forrester, Billy King and Jason Holt all had particularly worthy matches, although King will not be available for selection, and neither will Michael O’Halloran, who tore St Mirren apart, so the pack requires shuffling again. The defence is also looking reasonably solid – the best it has under Warbs – 16th of last month was the last goal Rangers even conceded, and only two in total have been shipped since the 25th of January. It is a more stingy Rangers than it previously was, and it is good timing for such frugality at the back, because on-form Kane Hemmings will not be an easy opponent. This time tomorrow we will gain another clue as to just how far Rangers have come in the last eight months. Here is hoping it is good news. Looking forward to the game. Would be great to get into the semis and take our chance but promotion was our aim and will become a reality very soon. Let's get behind the guys tomorrow ....whatever happens! hey scardiecat,stop running down the rangers defence when you know its been improving every game that gets played. andy halliday or kenny miller will step up to the spot as and when required. anyway dom ball will probably be on as holding midfeilder which is like having three centrehalfs. rangers will prevail. WE ARE THE PEOPLE. What are you on about? The defence has been very solid for two months. How can you fear Kane hemmings ,Wilson will destroy his day.and for penalties,Holt,Miller,mc Kay. The game will highlight where we need to strengthen next year. I hope we put away our chances today... each game over the past few months I've left happy but incredibly frustrated with at least 4 or 5 great goal scoring opportunities missed each week. I'm 100% all for free transfers and the loan market but we NEED a striker who doesn't mess about and just puts the ball in the net.